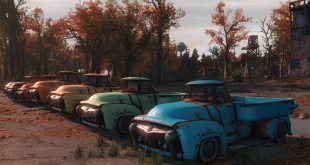 Home » ARTICLES » Is Fallout 5 ever going to come out? This is the huge question everyone is asking lately. Rock,Paper,Shotgun asked the Executive Producer of Fallout 3 ” Where the hell Fallout 4 is?” Todd Howard, Bethesda’s Game Director gave an answer, albeit not an extremely pleasing or revealing one. 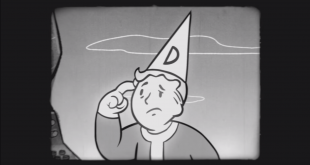 Our question is: Why is Fallout 4’s release date (or anything official about Fallout 4, for that matter) taking so long to be announced? There’s no denying that Fallout 4 has one of the largest fan-bases in gaming, and is among the most anticipated future games, along with titles such as Mass Effect 4 or Half Life 3. So what’s Bethesda waiting for? Surely, the fans deserve to at least get a hint that Fallout 4 is being developed. All this secrecy leaves us wondering if the game will ever come out or not. In the meantime, Bethesda dropped some interesting announcements about Wolfenstein: The New Order and about the Doom 4 Beta. The Elder Scrolls Online and Doom 4 publisher reminds us that Doom 4 is very much an on-going project, one that they aim to finish long before we can even start talking about Fallout 4. Doom 4 beta access will be granted to those that pre-order Wolfenstein : The New Order, as revealed through Wolfenstein’s new trailer. “Today we’re excited to announce that Wolfenstein: The New Order will release in North American on Tuesday, May 20th, and throughout Europe on Friday, May 23rd. And as a bonus to everyone that pre-orders, we will be letting you into the beta for the next DOOM game!” said the Bethesda official press-release, one that was warmly welcomed by fans of the two old-school FPS franchises. There are some unanswered questions about Doom 4 too. First, it’s unclear if the game will be a continuation of the initial trilogy, or will serve as a complete reboot of the series. Secondly, while Wolfenstein: The New Order doesn’t have a multiplayer mode, Doom 4’s beta seems to indicate that the latter does. Whether it’s limited to co-op or will be extended for massive player numbers (doubtful, that was never the focus of Doom games) remains to be seen. The weird thing is talking about the beta, Doom is primarily a singleplayer game, why would it have the beta. It means it might go massively online or they doing some kind of 4 player co-op. Previous What Are The Best Free Antivirus Programs Available for Download? Next How Much Do Casino Streamers Actually Earn?